Mothers Day is on its way and my birthday is getting closer. Another year older and so very blessed with my beautiful family. Loving each one with all my heart and as I look at my husband who I adore, and he is such an amazing man. Sharing and very caring and so very much in love with him, still after all these years. I saw the love of my life, at the age of twelve years old at Paramount Jr. High School. I was walking out of my home room and I spotted him as I was walking down the steps. I saw him a few more times and then I did not see him again. When I was in high school, I was baby sitting for this young couple up the street, with two children. One day after school, I saw this young man standing outside where I babysit at and my girlfriend introduced me to him. I saw this great smile before, and it was the boy that I saw at Paramount Jr. High. We started dating and we were married the next month after, I graduated from high school. 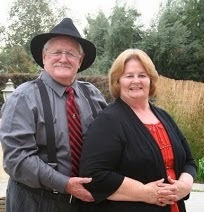 We have been married going on 48 years now. Life is not perfect but our Journey together has never been dull. Now we are growing older together and we pray together. Happy together and living with the love of my youth. Happy May Day!